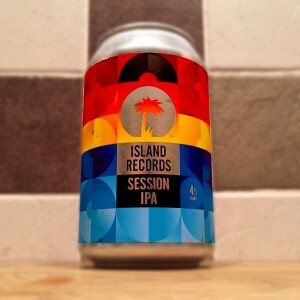 This week we drink a beer ‘best served with music’, Island Records & Two Tribes Brewery ‘Session IPA’. Plus we have an interview with the guys behind the beer. We also have Pete McKerry from Brewgeekery to review the beer with us and to provide us with one of the most Twitter-busting #hoptopic conversations we’ve ever had*. All this, plus the usual round up of news, another big box of nothing is awarded in the #prizelessprize and we crown the Ultimate Internation #No1Fan. Enjoyed the show.Are Two Tribes an actual brewery or a brand.Heard they are contract brewed at Kings Horsham. I believe they are a brewery in their own right. Justin talks in the interview about how he has brewed other collabs so it may be a cuckoo set up.